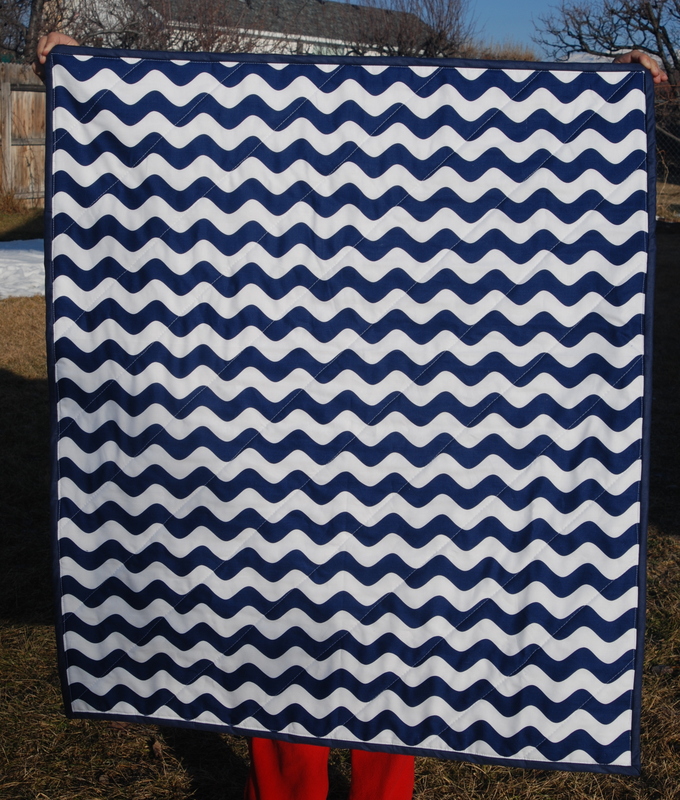 Baby boy quilts can be harder to come by than baby girl quilts. 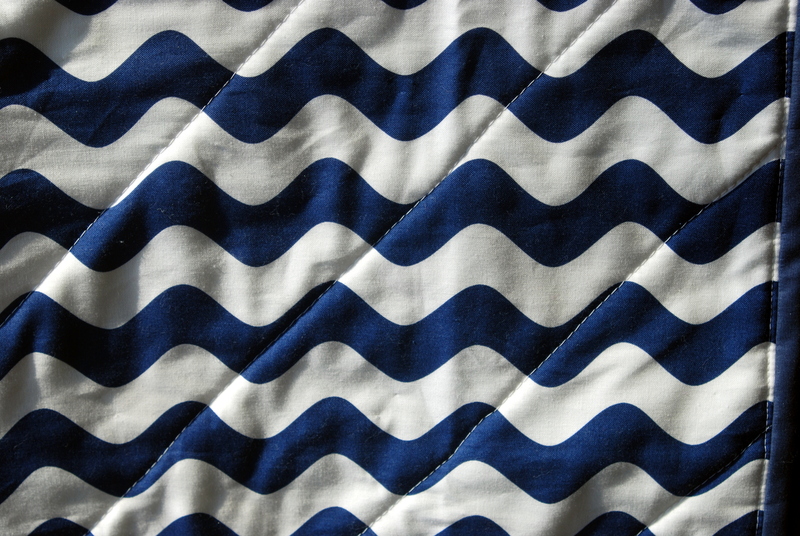 Luckily there are more and more adorable fabrics out there, these anchors and waves being right at the top of my favorites list! 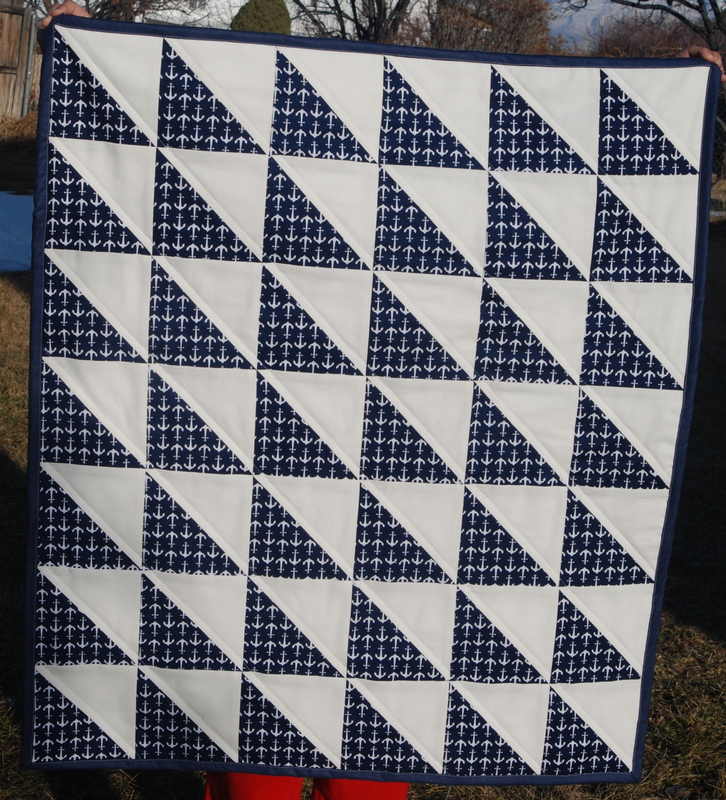 I started this quilt the way I start many, with 6″ squares to turn into HSTs (half square triangles). This is my preferred size when I am cutting squares for myself. Maybe it is just because that is the width of my cutting ruler, but they are also a good size, not too big, not too small. 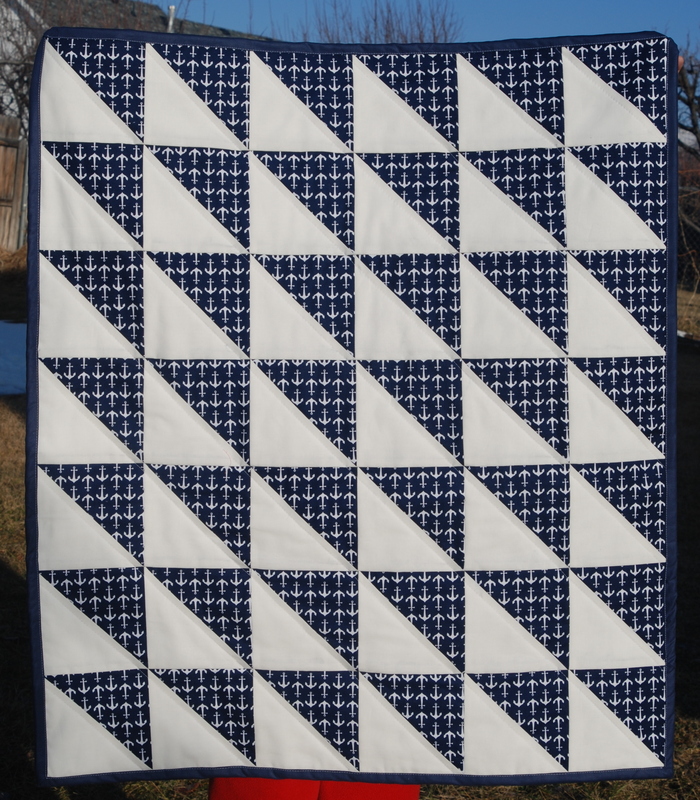 Anyway, I wanted the anchors on navy to be the focus of this quilt, but I also wanted it to pop, so white was my natural choice for a second fabric. I also love the way the white looks like little sails. For the back I went with some beautiful navy and white waves. Both prints are by Riley Blake. 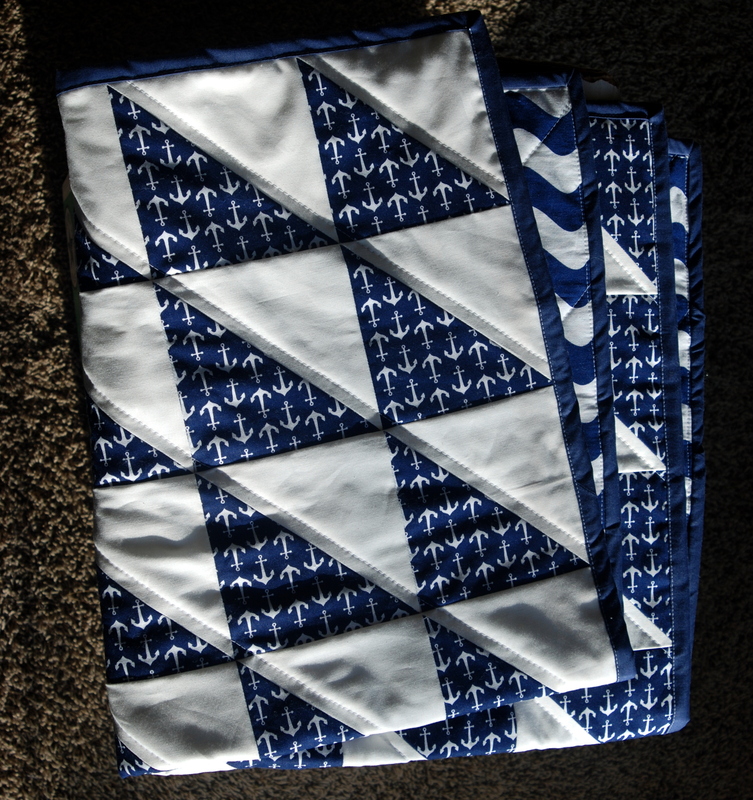 I quilted on the diagonal along the lines where the triangles meet. This looks good on the front, and doesn’t take away too much from the waves on the back. I love this one and it is now in the shop!